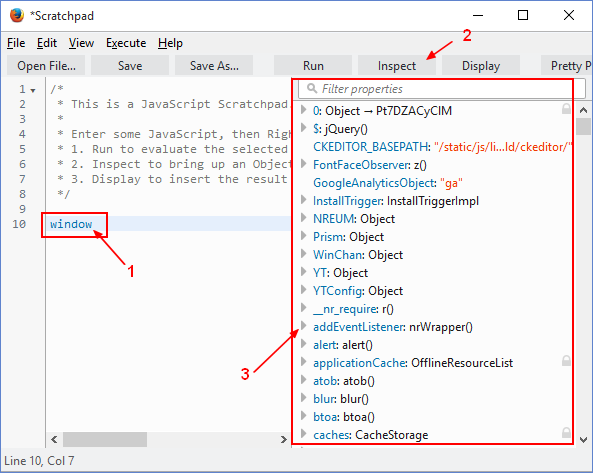 Within the scratchpad (shift+f4), you can write, run, and examine the results of code that interacts with the web page. REPL: The Display option executes the selected code, then inserts the result directly into your Scratchpad editor window as a comment. See Execute menu. It first reloads the page, then executes the code when the page's "load" event fires.